Upgrade your game! An amazing upgrade over our well-received Sound BlasterX G5, the Sound BlasterX G6 immediately improves your audio, giving you a much more enjoyable experience compared to what you get from default motherboard audio or any other USB Gaming DAC in the market. The USB sound card works with PS4, Xbox One, Nintendo Switch, and PC, and combines a virtual 7.1 32-bit/384kHz, 130dB USB Digital Audio Converter (DAC) with our awesome Xamp discrete headphone amplifier for incredibly detailed audio. It also boasts Dolby Digital decoding, virtual 7.1 surround sound, game-voice volume balancing, Scout Mode, and Sound Blaster's 30 year legacy of impressive sound enhancement technologies. All this comes together to make the Sound BlasterX G6 an incredible audio upgrade for both gamers and music and audio enthusiasts. Find out what makes the Sound BlasterX G6 sound so good. The Sound BlasterX G6 has the best audio performance of any USB sound card or gaming DAC in the market. When paired with a good headset, the Sound BlasterX G6 brings games alive, delivering new audio details even from games you thought you knew inside out. The more audio you hear, the more fun you'll have. You may just win a little more too. Sound BlasterX G6 sound so good. It doesn't matter which camp you're in - PC or console - we've got you covered. The Sound BlasterX G6 features a wide array of connectivity options - optical, USB, and even line-in - which means your gaming audio will be instantly improved whether you're on PC, PS4, Xbox, or even a Nintendo Switch. 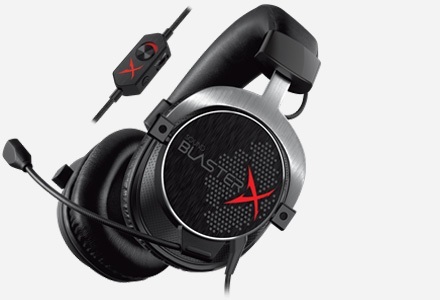 With support for Dolby Digital decoding* and 7.1 virtual surround sound, the Sound BlasterX G6 reproduces your opponents' footsteps, gunshots, and other audio cues with remarkable accuracy. PS: Environments and music sound great too! *Dolby Digital decoding is available via optical connection. Activate Scout Mode to give yourself a distinct tactical advantage! This tried and tested technology enhances important in-game audio cues - such as footsteps and weapon switching sounds - allowing you to quickly and accurately pinpoint your opponents' location before they pinpoint yours! Sound Blaster has been in the audio processing game for 30 years. All our USB sound cards provide compelling surround sound, clean up vocals, and enhance audio cues to give a competitive advantage in games! The best part: you get to control every bit of it from the Sound Blaster Connect software. The Sound BlasterX G6 is designed to make things easy. The single audio wheel controls both the gameplay audio and your mic volume for easy balancing. Buttons on the side control processing profiles and Scout Mode, and switching between headphones and speakers is easy via the Sound Blaster Connect software. We're not joking about our sound quality. The Sound BlasterX G6 was designed for the most discerning gamers and built with components that would impress even audiophiles. The jewel in the Sound BlasterX G6's proverbial crown is our custom-designed Xamp discrete headphone amplifier. As opposed to single amplification found in other gaming DAC amps, Xamp amplifies both audio channels individually. You'll enjoy more detailed audio on highs, mids, and bass. Xamp will drive any gaming headset excellently, but it goes even further than that. The ultra-low 1Ω output impedance perfectly drives performance-grade sensitive 16Ω in-ear monitors all the way to studio-grade 600Ω headphones. The amp makes all kinds of headphones sound amazing. Your games will sound more dynamic, your movies will come across as more cinematic, and your music will pop with far more energy than you get without an amp. The Xamp headphone amp is extremely good and produced warm and full sound with outstanding imaging that made me imagine all the instruments being played when I closed my eyes. The specifications of the Sound BlasterX G6 are impressive. It serves as a 32-bit 384kHz* DAC with an ultra-high dynamic range of 130dB. The DAC features an oversampled multi-bit modulator with mismatch shaping technology that eliminates distortion, ensuring that audio is streamed with the highest level of detail and fidelity. The Sound BlasterX G6 also supports hi-res PCM and DoP audio formats. *Other inputs are not available in 32-bit 384kHz (Direct Mode) playback. The Creative Sound BlasterX G6 transforms the way you experience audio on PC and console...What makes the G6 so good is how you can pair it with some $150 cups or a cheap $20 headset from Amazon and you'll be able to tell a difference when migrating from onboard audio on your PC. Having the ability to hook up your console and the Nintendo Switch makes this a must-have for anyone looking to — quite literally — boost their audio experience. Performance is where the Sound BlasterX G6 shines, the audio quality delivered by the G6 is superb, it was an immediate improvement over the MSI motherboard we tested it against, and it enhanced every single aspect of the sound. The bass became richer and fuller, the treble was cleaner and more detailed, vocal production became more powerful, and the highs were heightened as well. We noticed an audio boost immediately once we fired up the G6...even aged gaming headphones will feel like they got a newer lease on life from the G6. We had fun with the G6 and recommend it first to gamers looking to boost sound quality and gain a competitive edge. The G6 is a tiny package that provides a huge bang for your gaming audio experience. At the GamesReviews offices, we don’t look at games anymore unless connected via the Sound BlasterX G6! It definitely is a solid product! Having used the Sound BlasterX G6 for many weeks now nonstop, I couldn’t believe the small nuanced audio I’ve been missing all these years. Even if you don’t have a set of professional headphones, the G6 is going to enhance your audio to a much more distinct, crisp and defined soundstage. Like trying to describe color to a blind person, it really is something you need to experience for yourself, in terms of the differences a small palm sized DAC can make. If you’re a gamer that’s been using onboard sound til now, it’s worth checking out the G6. Your eardrums will thank you. The sound in your games will be richer, fuller and more natural sounding with better 3D positioning. Audiophiles will also find something special in the G6’s Xamp and DAC combo, with all the SBX processing turned off, your headphones will sing. For excellent compatibility and quality in your current setup, the Sound BlasterX G6 by Creative is the best sound card for you. This device clearly wins against its competitors since it has a good set of features to enhance your system. With its impressive features and performance, we highly recommend the Creative Sound BlasterX G6. The Sound Blaster G6 is a powerful bit of kit, providing very noticeable audio improvements to headsets, with its SBX and Scout Modes making a great added bonus... if you game on multiple devices and want the best audio possible from your gaming headset then the G6 is a great addition to your gaming setup. The wizards at Creative have done it again. The Sound BlasterX G6 is upon us and not only does it support your favorite PC titles, it also works with the PS4, Xbox One, and Nintendo Switch. W00t! Finally you can amp those headphones or speakers up with all the crystal-clear sound of the Sound Blaster platform at home or on the go. I'm especially stoked to use the G6 with my Switch and the sound processing and virtual surround make a "HUUUUUGE" difference. 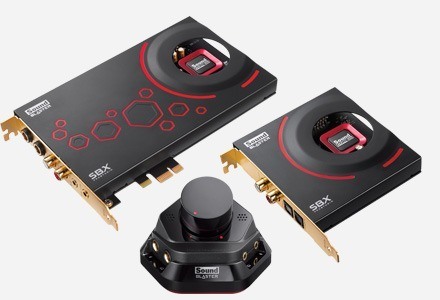 The SoundBlasterX G6 offers terrific value with its gaming features (especially for multiplayer), compatibility with multiple platforms, and doubling as a hi-res audiophile DAC. Music, movies, and, of course, games sound superb with the G6. If you’ve already invested in good headphones and have so far plugged it straight to your computer, then the G6 would also be a godsend. Depending on your model, the discrete amp would inject plenty of life to your music from the better power delivery alone, and the cleaner audio coming through the DAC will only let it shine even more. The Creative Sound BlasterX G6 is something that could be a good option for people. It is a versatile device that can work with your computers and consoles. It offers great sound quality. If you are looking for a nice device to make things sound good and not be ridiculously expensive, it might work for you. To test the gaming applications of using this to amplify my sound bar, I played a handful of matches on perennial rivals PlayerUnknown’s Battlegrounds and Fortnite Battle Royale, as well as Call of Duty WWII. The difference is night and day – in all three games, the sound of footsteps becomes directional, as does gunfire and explosions. In fact, the gameplay advantage was borderline transcendent – turning me from a relative novice to being able to locate enemies based on audio cues alone, particularly in WWII. ...while the G6 has a very clean sounding dac and respectable (and high volume output) amplifier, the affordability, and ability to use with external gear really is what makes it a must-have in my opinion. I believe it makes gear like the Astrogaming Mixamp obsolete, at least for the more serious audiophile. If you are looking to create a better audio experience for yourself, but want to keep using that favourite headset that is a few years past its prime, take a look at the Sound BlasterX G6. You will not be disappointed! All in all, the G6 delivers on its promise of providing high-quality, enhanced with SBX effects. There’s simply no question, this DAC/Amp will make your headset sound better than ever. Man, is it (the Sound BlasterX G6) vastly better than the built-in audio on the laptop! The sound is crisp, it's defined. There's a definition to the audio that just isn't there when plugged in to the built-in. It's just... good! There's no other word to say it, it's just good. But if you’ve already got a good headset and your intention is to continue to improve your gaming audio, the Sound BlasterX G6 will take your sound places you didn’t even know it could go. It’s great that console gamers finally have a good option for improving their audio, an aspect of gaming that has long gone under the radar in favor of visual fidelity. The good news about the Creative Sound BlasterX G6 is that it is everything that I wanted from a sound card...Overall, I would say that the Creative Sound BlasterX G6 is possibly one of the best external sound cards that I have used in a long time. Overall I am rather impressed with the Sound BlasterX G6. Initially, it didn’t strike me as any different from the previous BlasterX G5...At the latest LAN Party I spent a day on the G5 and later switched to the G6 the next day and haven’t looked back since. The Sound BlasterX G6 has everything you would expect from a USB sound card...If you are looking for a nice device to make things sound good and not be ridiculously expensive, it might work for you. I have an ASUS ROG laptop and I bought this mainly since the headphone/mic jack is on the right side of the laptop and that's where I have my mouse since I'm right handed. Bad design imho. I wasn't actually expecting to be able to hear the difference since I spent a lot of my childhood listening to loud music and now I can't hear well enough to call myself an audiophile. However, I was really impressed at the difference in game play this little device makes. It's a clear and impressive difference. I'm really surprised at how well the 7.1 option works even though I have only 2 speakers for my laptop. Does the Sound BlasterX G6 have a built-in battery? No. The Sound BlasterX G6 requires power supplied via a microUSB cable to work. Is the Sound BlasterX G6 portable? 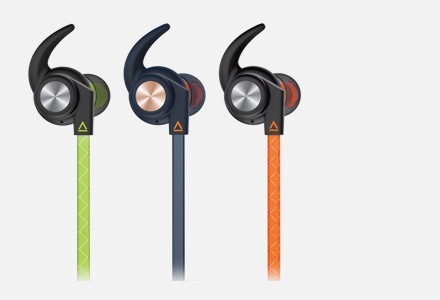 While the Sound BlasterX G6 is small, lightweight, and can be carried easily, it does not have a built in battery and requires power supplied via a microUSB cable to work. Is the Sound BlasterX G6 a DAC? Yes. The Sound BlasterX G6 is a 32-bit 384kHz DAC with a DNR of 130dB. What mics are good to use with the Sound BlasterX G6? The Sound BlasterX G6 supports any 3.5mm 3-pole jack external microphone (mono). Is the Sound BlasterX G6 driver windows certified? The Sound BlasterX G6 driver for Windows is WHQL certified. The Sound BlasterX G6 will be easily detected and drivers will be automatically installed / updated via Windows Updates. 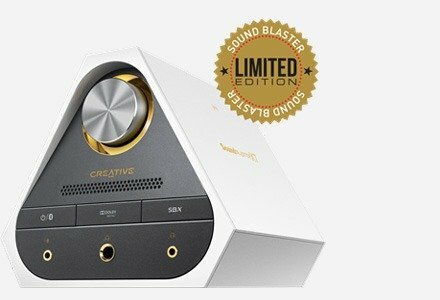 Does the Sound BlasterX G6 work with Mac? The Sound BlasterX G6 can work on Mac OS X. However, there is no Sound Blaster Connect software for Mac OS X. Does the Sound BlasterX G6 work with Mac's USB-C ports? As the Sound BlasterX G6 uses a microUSB port, users will require a USB-C to microUSB cable to connect the Sound BlasterX G6 to a Mac. Does virtual surround work with consoles like the PS4, Xbox and the Nintendo Switch? Does Sound BlasterX G6 support EAX ALchemy? Yes. The Sound BlasterX G6 works with Creative Alchemy that allows users to run their favorite DirectSound3D games with full hardware-accelerated 3D audio and EAX support. Does the Sound BlasterX G6 support What-U-Hear? Yes, the Sound BlasterX G6 supports What U Hear. Does the Sound BlasterX G6 work with Linux? Creative Labs does not provide an official Linux driver. However, as the Sound BlasterX G6 is essentially a 2-channel USB DAC, the default Linux audio driver should support it. As with Mac systems, users will not have access to BlasterX Acoustic Engine and RGB features as these are only available on PC. Will the Sound BlasterX G6 work with my PS4 and Xbox One? 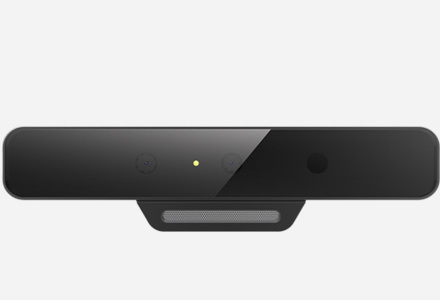 Will chat work with a console connected to this instead of PC? You may connect the Sound BlasterX G6 to the PS4 via USB and to the Xbox One via optical-in. Chat is supported on the PS4. Unfortunately, chat is not supported on the Xbox One or Nintendo Switch. Is there a way to toggle output between connected headphones and speakers? There is a software switch to toggle between headphones and speakers. This switch is found within the Sound Blaster Connect software for the PC. 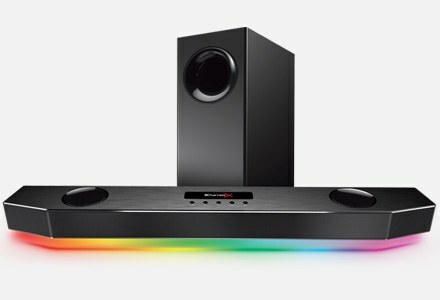 Can audio processing/SBX effects be applied to the optical output on the Sound BlasterX G6? The optical output is capable of carrying audio processing/SBX effects when in normal mode. 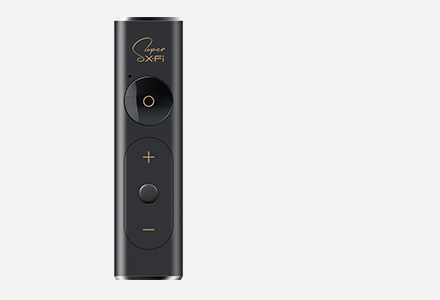 However, when SPDIF-Direct is selected, the optical output will not have audio processing/SBX effects. Can I connect the Sound BlasterX G6 to a USB 2.0/3.0 Hub? It is recommended to connect the Sound BlasterX G6 directly to the USB 2.0/3.0 port of the PC. Connecting the Sound BlasterX G6 to a USB hub may yield unforeseen issues. Even a powered USB hub is limited by the power capacity provided by the power adaptor of the USB hub, which is typically 5V 2A or lower. Each of the USB ports on the hub may not deliver the maximum 500mA when the hub is fully connected.